One of the most beautiful parts of the C. S. Lewis' Prince Caspian, is the return of the children as the kings and queens of Narnia. Fauns, satyrs, centaurs, wizards, nobility, commoners, all feel these rulers from our world are simply imaginative fabrications and not real at all. Part of the job of the Pevensie kids as they return to the fantastical world of Narnia is to convince the inhabitantsthat the old stories are true--that it is worth having faith and fighting for it. And High King Peter's additional task is to convince old Narnia that he and his siblings bring new hope--namely that stories about a dying and rising God can be true, and if believed, may open a doorway to an encounter with the divine. There is much religious meaning in the book and will be in the film. We are asked to answer four questions: Do we believe in the faith given to us? Do we see our existence as spiritual warfare? If we refuse true faith, what will we believe in? Do we have the courage to hope? 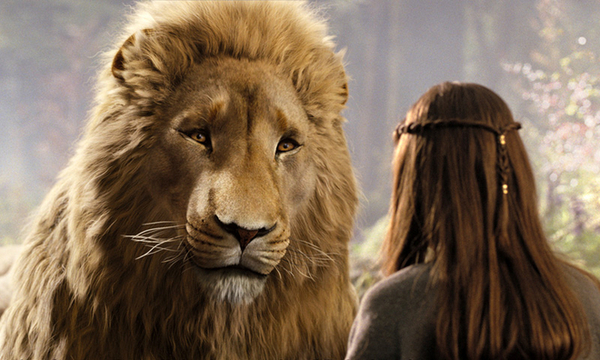 Check out this link, Faith and Hope in the movie Prince Caspian, where you'll find my article that probes a little more deeply into what all of us are about to experience as we view this new installment of the Chronicles of Narnia. I haven't read the book and I really did think all of these themes shined through the movie! I loved it! I wanted to look up the meaning of the story for C.S Lewis and it was just as I thought with the themes of trusting God and seeing him come through for us! I've read some negative feedback about the movie in comparison to the book and I think as someone who has only seen the movie I felt the presence of God in it. I cried in a few parts and just felt that it spoke to my life.